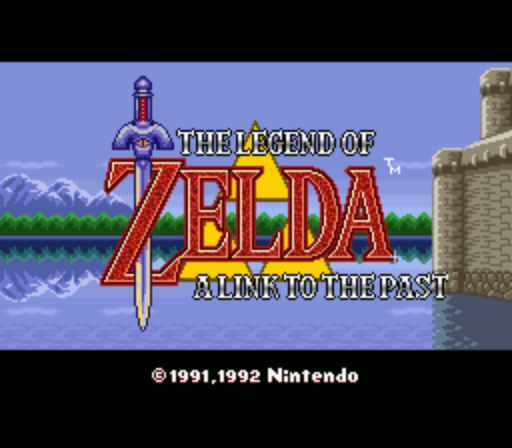 The Legend Of Zelda - A Link To The Past is the highly praised third game in the Zelda series. 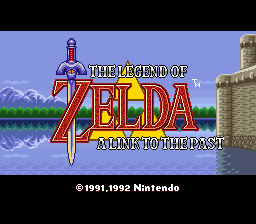 After the failure that was Zelda 2, Nintendo went back to the overhead view and gameplay style of the original game. It was released in 1991 in Japan, and in the following year in the US and Europe. 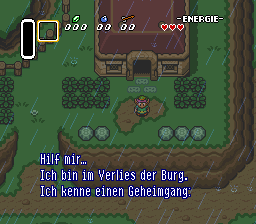 The story starts centuries in the past, when a band of thieves lead by Ganondorf managed to open a portal to the Sacred Realm, where the Triforce was hidden. Ganondorf claimed the Triforce as his own, and soon, dark power began to flow from the Sacred Realm. The King of Hyrule ordered seven sages to seal the entrance of the Sacred Realm. 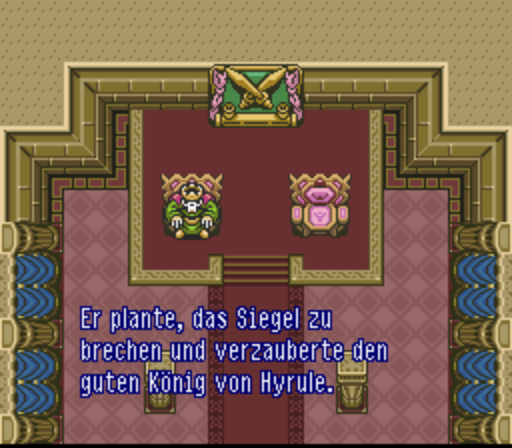 After a long battle, that became known as the Imprisoning War, the sages managed to cast their seal, and imprisoning Ganon. After a time of peace unexplained catastrophes began to occur. A stranger named Agahnim managed to stop these, resulting in him being the chief advisor to the throne. But Agahnim had bigger plans. 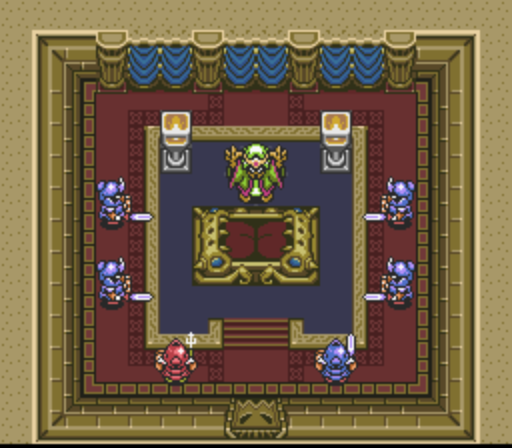 He was planning on taking over the throne, and using seven maidens descended from the sages to break the seal. 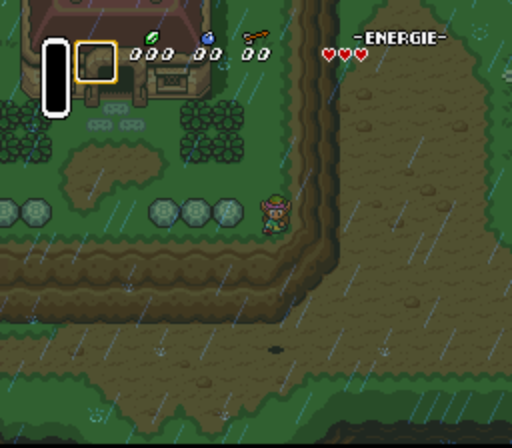 This is when Link's quest starts. He's awakened by Zelda's telepathy, who tells him that she's a prisoner in the castle's dungeon. The now awake Link finds his uncle with a sword and shield in hand. 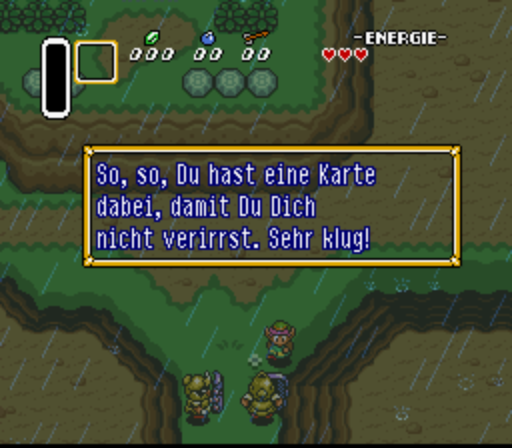 He tells Link not to go out, and sets off to the castle. Link ignores his orders, and goes to the castle too. He finds his uncle badly injured. 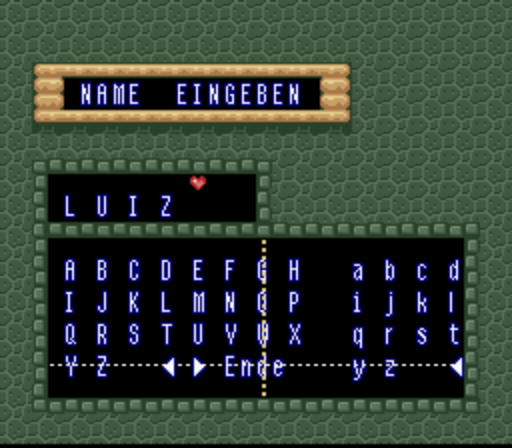 With his remaining power, he entrusts Link his sword and shield, and tells him to save Zelda. 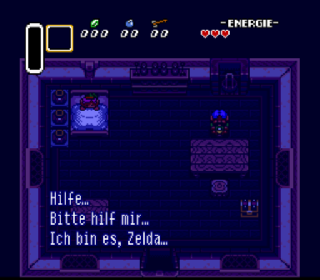 Link manages to save Zelda from the dungeon, and they proceed to the sanctuary north of the castle. 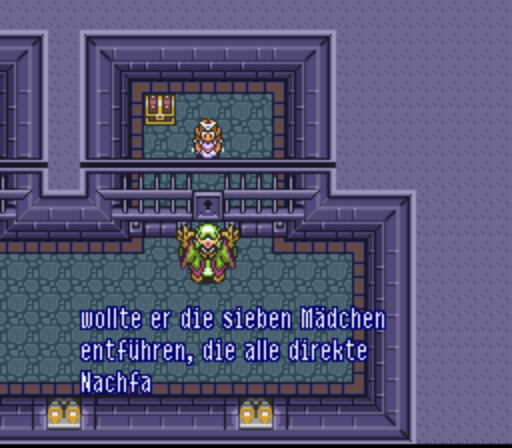 The priest tells him about the Master Sword, And Link sets off on a journey to rescue the maidens, and stop Agahnim. Now you can add videos, screenshots, or other images (cover scans, disc scans, etc.) 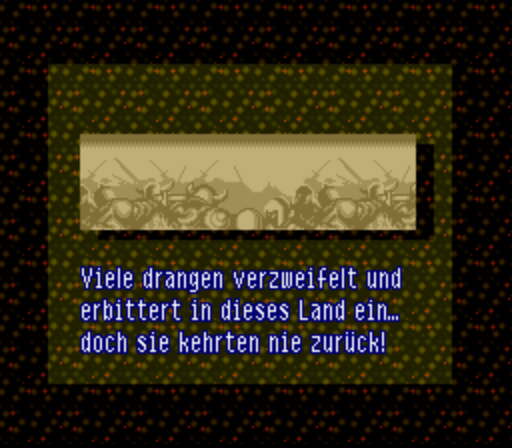 for Legend of Zelda, The - A Link to the Past (Germany) to Emuparadise. Do it now!